Locally Owned with Bluetooth, Backup Camera, Heated Leather and more! 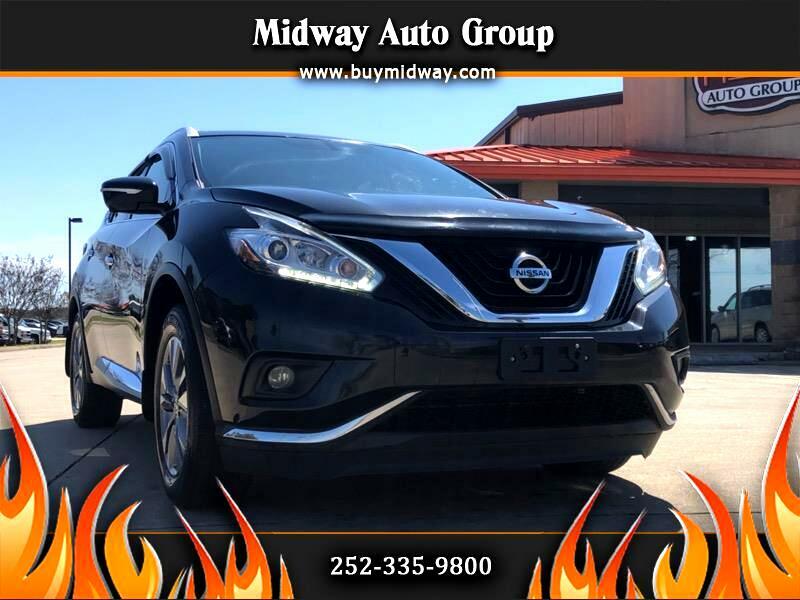 The 2015 Nissan Murano ranks highly among other midsize SUVs, thanks to its classy, spacious interior, easy-to-use infotainment system, and terrific safety and reliability ratings. Class competitors offer more power, but the Murano provides confident handling and a calm ride. The Murano comes standard with a V6 engine and a continuously variable automatic transmission. Engine power falls short of the Murano’s rivals, but fuel economy is good for the class. Both front-wheel-drive and all-wheel-drive models return 21 mpg in the city and 28 mpg on the highway. The Murano has a comfortable ride, even on bumpy roads. Its composed handling exhibits minimal body roll, but the steering feels somewhat numb. Cloth upholstery and seating for five come standard in the Murano. Available niceties include leather seats, heated front and rear seats, and a heated steering wheel. Materials are luxury-grade, similar to what you’ll find in an Infiniti or other luxury brands. The Murano’s NASA-inspired front seats are like those in the Nissan Altima, and they’re comfortable even on longer journeys. The Murano’s low-mounted rear seats, however, could be a problem for taller folks. Forward visibility is excellent, but it can be difficult to see through the back window. The Murano can hold up to 69.9 cubic feet of cargo, which is good for an SUV with 2 rows. Standard features include dual-zone climate control, a proximity key, and push-button start. The standard NissanConnect infotainment system features a six-speaker audio system and a 7-inch display. The available navigation system has straightforward menus and an 8-inch touch screen with dazzling graphics. Other available features include a nine-speaker Bose audio system, a power liftgate, and a panoramic sunroof. The average price of a used 2015 Nissan Murano ranges from about $21,600 for a base model S trim with front-wheel drive to around $31,800 for a Platinum trim with all-wheel drive. Listing prices can shift with demand and vary depending on the vehicle's condition, mileage, and location. The average price of a used 2015 Nissan Murano ranges from about $21,600 for a base model S trim with front-wheel drive to around $31,800 for a Platinum trim with all-wheel drive. Listing prices can shift with demand and vary depending on the vehicle's condition, mileage, and location. Like many of its classmates, the 2015 Murano earns excellent safety scores. The Insurance Institute for Highway Safety named it a 2015 Top Safety Pick+ (its highest award), and the National Highway Traffic Safety Administration gave the Murano an overall rating of four out of five stars. A rearview camera comes standard in the Murano. Available advanced safety features include blind spot monitoring, rear cross traffic alert, an Around View 360-degree camera with parking sensors, adaptive cruise control, and forward collision warning.